8 Reasons Your Central Air Conditioner Blows Warm Air? Reasons Why a Central Air Conditioner Might Blow Warm Air? Listed below are several common reasons why a home air conditioner is blowing warm air. Some of the reasons are easy for you to check yourself, others require special tools or even certifications (like handling refrigerant) and should be left to a professional. Get a free repair quote in Charlotte, or in from one of our qualified contractors in your local area. If you just want to skip over to the a list of solutions, learn what things you can do to stay cool. I know it sounds simple, but it happens more than you care to guess! Always check your thermostat first. If your filter gets too dirty, eventually, the inside col will become coated with dust and soot, and simply plug up and freeze into a block of ice. 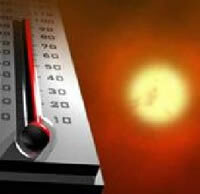 The outside AC condensing unit must be running in order to compress the refrigerant and make the system cool properly. Look outside to see if the condenser is running! Reasons that the condensing unit is not running can be as simple as a breaker being tripped, or as complex as a compressor being bad. Check the Charlotte AC repair cost page to get an idea of the general cost for each. If you end up needing a new condensing unit outside, learn whether or not you can replace the condenser only, or must change out the full system. In addition to the obvious electric problems with an outdoor condensing unit, if the coils that surround the unit are dirty or restricting airflow, the compressor may have overheated and shut itself off to prevent further failure. The AC compressor is a large component inside of the condensing unit outside your home. Its primary job is to compress and control the flow of the refrigerant through the cooling circuit. Replacing the compressor is a big job that’s best left to a professional with the right tools and licensing to handle refrigerants. Get free compressor repair estimates. Leaks as small as a pinhole can allow the refrigerant inside your home central cooling system to leak out. The cost to recharge a home air conditioner in Charlotte truly depends on the leak, the contractor performing the job, and several other factors like the amount of refrigerant in a central air system. Walk outside and take a look at the condensing unit. Are the cooling fins straight and clean? Is the AC unit sitting level on its pad? These are factors that regularly scheduled maintenance will take care of for you. A dirty coil or one of many other factors can reduce the operating efficiency of your Charlotte central air conditioning system and cause it to blow warm air into your home. 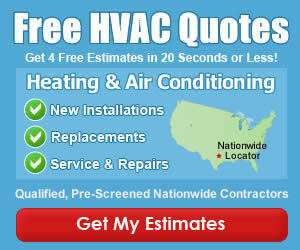 Have You Had a Recent AC Repair for Warm Air? If so, we encourage you to drop down to the comments section, share what the Charlotte AC contractor found to be wrong with your system, and what steps or repairs were made to correct the air conditioner from blowing warm air.